DUG Insight User ManualFrequently Asked QuestionsFrequently Asked Questions SyntheticsHow do I scale synthetic trace relative to seismic? Note: The synthetic trace automatically inherits the same Class as the volume you are comparing it to. 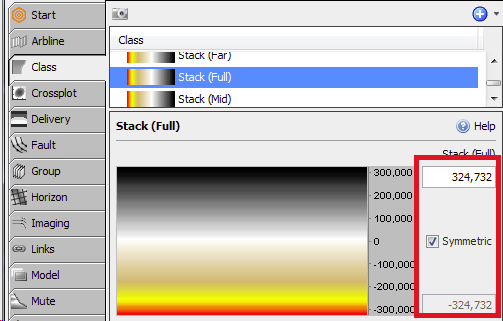 Note: The edges of the well track represent the min/max values of the colourbar (i.e. if your synthetic trace has amplitudes -100 to +100 and you also set the min/max colourbar values as -100 to +100, then the maximum peaks and troughs should just hit the edges of the well track). 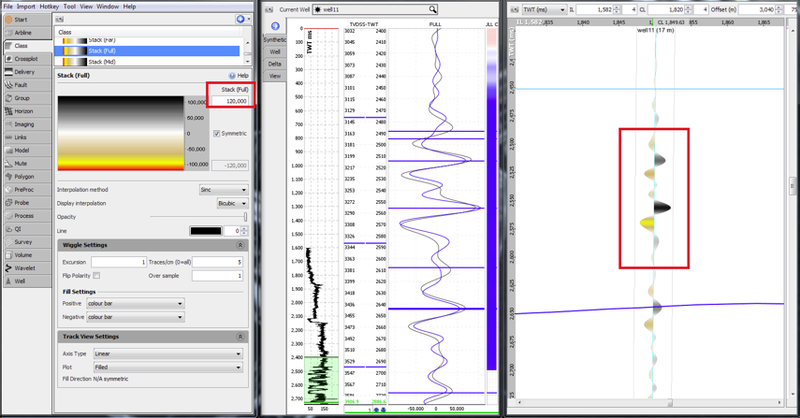 Set the wavelet scalar such that it matches the seismic trace in the synthetic view. The display of the seismic traces is zoom dependent. The display of the well logs is zoom agnostic. Therefore there will likely always be some necessary tweaking of the well track display width. 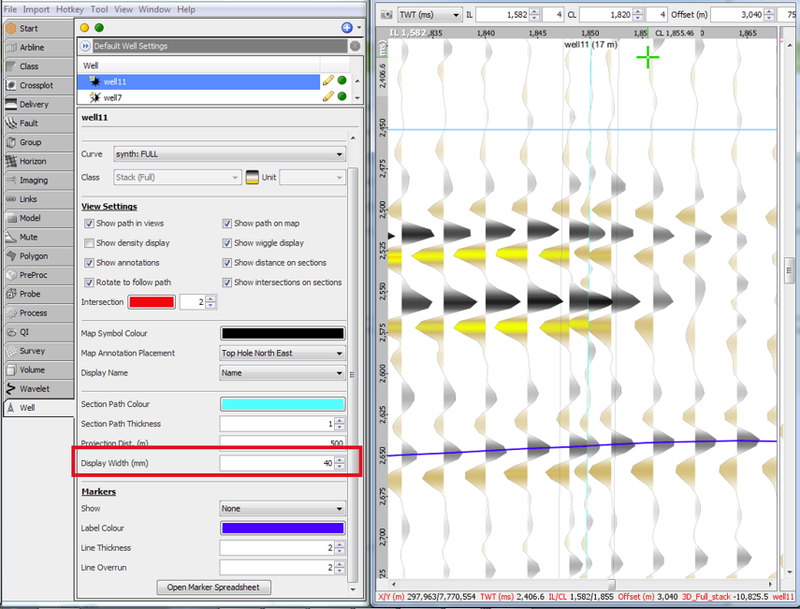 You may also find it useful to deselect Use min/max from class for the volume and adjust the min/max display of the volume (using F5/F6) independently to the synthetic trace. Prev: When should I choose a Dip filter over an F-K filter? Next: How do I find the RMS amplitude for a single trace over a given time window? How do I do this with a synthetic?